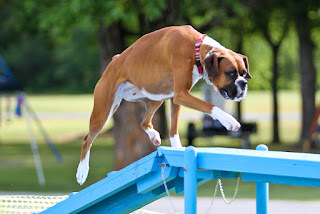 3 Dog Blog--A Boxer Adventure: Anyone Up for a Game? The fall weather is cooling us off, finally, and it's a great time to start a new session of Agility Classes at Companion Dog School of Tulsa. Since I've been so busy building our new house (about an hour and a half from where we live now), I didn't think I was going to take any classes this time. But husband and friends talked me into it and even if I can't be in attendance for all the classes, I'll at least enjoy the ones I can get to. So what did I do? I enrolled in 4 different classes on 4 different nights! NOW how am I going to keep up? And I've all ready told you that I don't really have time to practice. Yes. I keep proving over and over again that I am an idiot. The plus side is that every dog gets his or her private 'Mommy' time and we do love to go and play together. We always learn something new and we do use that time to work on focus exercises while we wait for our turn to run. McKenzie goes on Monday night, Malcolm on Tues and the wee Monster girl, Nessie, goes on both Wednesday and Thursday. She is trying to learn the weave poles on Wed. night and has her regular class on Thurs. night. Nessie is still doing simple courses, but dang! She is really tearing it up. Last night, she just flew over the jumps and the A frame and the teeter. She's great at going to the box and she sits without a command. She had forgotten about the tunnel and I had to push her in the first time, but after that, she just really did everything she was asked and had a blast, too! and that's what we're going to do. I'm going to make myself not worry about anything and I'm not going to get anxious about the 'politics' of the people at the club. I'm not a person who 'trials' my dogs. I do want to have fun with them and to learn this game. I'm doing my best, and so are my dogs. No. We don't practice every day. So? We are still better than some who do. Malcolm did great in his class. He is still struggling a bit with a whimpy ACL. We are still doing some therapy work to fix it and I can tell it's a lot better. He ran his first 2 runs pretty good, but missed a couple of things. On his 3rd run, he was perfect and very tired. Too bad he/we can't get it right from the 1st run and he wouldn't get so tired. Nessie can sit in a box. So really, it's still McKenzie that I'm trying to work on and if I can ever get her focused in, she'll be a great agility dog. I may even put her into a trial next year. The twins turn 3yrs old next month. No sign yet, of any delivery of their brain. UPS has not texted me a notification that the package that contains them is on it's way. Until then.............I'm just (not so) patiently waiting. Hi – Will you please post a link to your Blog at The Boxer Community at vorts.com? Our members will love it. 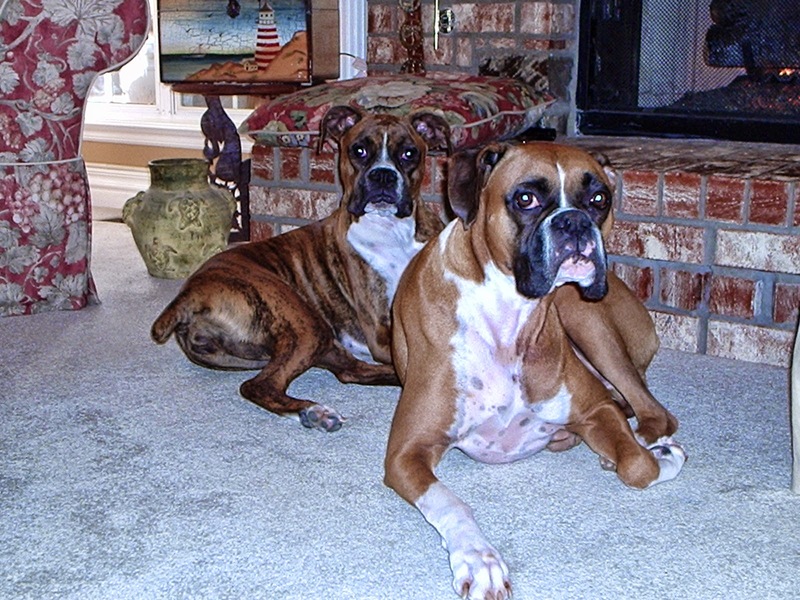 Members include: Boxer Owners, Breeders, Trainers, and Lovers.